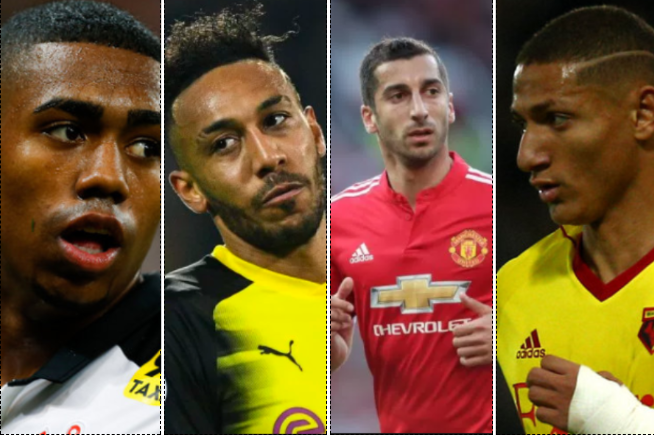 Home » ARSENAL CORNER » Arsenal Transfer Talks: Malcom, Aubameyang, Henrikh Mkhitaryan and Richarlison. Arsenal move the transfer business they are supposed to have done in the summer to the winter period when the damage has been done. Halfway through the transfer window, Arsenal business so far was to sign the young Greek defender Konstantinos Mavropanos and sell Francis Coquelin to Valencia but the one overiding transfer business that will decide the direction of Arsenal remaining season and even the future is the transfer saga of Alexis Sanchez. Arsenal has been preparing to replace Sanchez, while we believe that Malcom is close to completing a move from Bordeaux, Monday speculations seem to suggest that Arsenal is about to unleash an unprecedented spending in the last two weeks of the transfer window. However, Arsenal moved the transfer business they are supposed to have done in the summer to the winter period when the damage has been done. Malcom is a Brazil National and currently plays for Bordeaux in France. Arsenal held talks with the representatives of Bordeaux’s Malcom on Sunday and a deal worth £40m is imminent. Malcom became the top target to replace Sanchez since the Gunners cool their interest in Monaco’s Thomas Lemar over transfer fee demand. The Guardian claims the discussion took place in France on Sunday 14th January. Spanish football commentator Guillem Ballague tweeted about this development. Indication of how close this deal is at this stage is unclear, but Bellague, who is often accurate on this type of scoop recon there is a realistic chance that Arsenal will close this one, and unlike Arsenal, it seems that Arsenal is indeed adding Aubameyang to Malcom possible signing and not the case of choosing one. Another development in the Sanchez transfer saga, according to multiple reports is that Wenger is exploring the possibilities of asking for Henrikh Mkhitaryan as part of the deal that will see Sanchez move to Old Trafford and Anthony Martial has also been mentioned in the equation. If either Martial or Mkhitaryan arrives, the consequence is that Arsenal will have to choose one of either Malcom or Aubameyang. It has emerged that there is an outside chance Watford striker Richarlison may arrive. Arsenal and Chelsea are both tailing the Brazilian for a possible bid this January. Arsenal has lost Coquelin and is set to sell Walcott, possibly Giroud and Ozil issue is yet to be sorted, little wonder it appears that the club is busy in the Winter transfer window.